Unbound periodicals / Room 5-2-08. * Circulation desk is in this room. General books / Room5-2-07. Always locked. Ask a librarian next door to unlock. Non Members Visitors will be required to show identification at the circulation desk. Photocopiers are installed in the Room 5-2-08 and 2-9-05. Borrow a photocopy card at the circulation desk in advance. 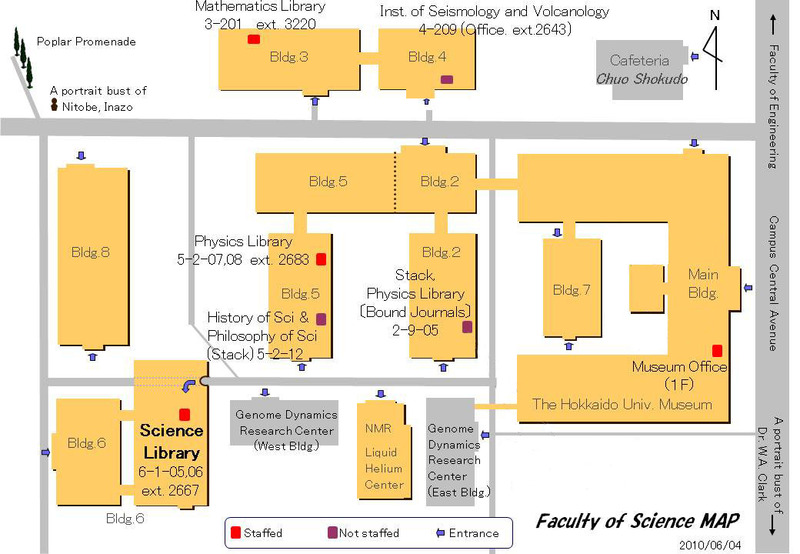 If you don't belong to the physics department, please bring "Fukushaki Shiyo Dempyo" (a slip for using photocopier) to the circulation desk. Please borrow the material and use a pay photocopier outside.